They didn’t know why they were there. On a November day in 1941—about one month before the Pearl Harbor attack plunged Japan and America into war—a group of Japanese American soldiers gathered at a dilapidated air-mail hangar, cryptically signed “Laundry Depot” on Crissy Field. A few of the men might have been bemused. Most were puzzled. And some were worried. “We were milling around Building 640: ‘What are we doing here? What’s all this about?’ A whole bunch of Niseis [American-born children of Japanese immigrants]. ‘What are they going to do to us?’” recalled Maj. Masaji “Gene” Uratsu, in an oral history video. These enlisted men were chosen as the first class of a top-secret school—one that the Army was so keen to keep clandestine that the soldiers were forbidden to tell even their family members, under penalty of court-martial. It was a language school, intended to train its students in Japanese translation and interpretation for military purposes. By the end of World War II, the school would produce thousands of linguist soldiers who, collectively, would serve with valor and distinction at every battle and every campaign in the Pacific theater. And it would sow the seeds for the famed Defense Language Institute in Monterey. But at Crissy Field on that fall day in 1941, at least one of the bewildered young men couldn’t even find the door to the decrepit building. “I reported to the hangar and I couldn’t even believe this was a school to begin with,” said Col. Thomas T. Sakamoto, in his oral history. The Fourth Army Intelligence School—or Military Intelligence Service (MIS) School—was the first of its kind. It was founded on a paltry $2,000 budget, with scrap-heap furnishings, mimeographed copies of rare textbooks, and four Nisei civilian instructors who had never been teachers before. Their students—58 Nisei with varying competence in Japanese and two Caucasians—were young men in their early 20s. The headmaster John Aiso—a civilian with no military rank or authority—maintained discipline by threatening to write letters to their parents. Under Aiso’s iron-willed leadership, the men studied 10 hours a day; they spent most of their time in the cold, drafty hangar, sleeping in the spartan barracks or bent over their books in the classrooms. In the early days, their furniture consisted of overturned boxes and crates. “You were really tired—you sleep well,” recalled Lt. Col. Arthur M. Kaneko, in the oral history video. But there were also unscheduled hours—time for playing sports, listening to the radio, visiting family, and donning civilian clothes for trips into Japantown or Chinatown. Everything changed on the morning of December 7. In the wake of Pearl Harbor, the MIS school’s focus turned sharply toward military affairs and combat. “The curriculum became intense and our attitude became different,” Sakamoto said. Even as their studies doubled in pace and rigor, the young men had a new trauma to contend with: President Franklin D. Roosevelt’s Executive Order 9066, issued on February 1942, which paved the way for the eventual relocation of 120,000 Japanese Americans to incarceration camps. According to Rosalyn Tonai, executive director of the National Japanese American Historical Society (NJAHS), the students—and the faculty—feared for their families. Some of them even defied orders to stay put—slipping away to see their parents before their loved ones were rounded up at assembly centers, like the Tanforan horserace track. “It was heart-wrenching for them to see their parents in horse stalls and behind barbed wire,” Tonai says, pointing out that the men had to endure such an indignity—while wearing the uniform of the U.S. Army. Still, despite prejudice in society at large and pressures from within the Japanese American community, the soldiers grit their teeth and continued to do their duty and follow orders. In May 1942, after the original one-year program was urgently truncated to six months, 45 linguist soldiers graduated from the MIS school—and almost all of them were immediately deployed to the front. 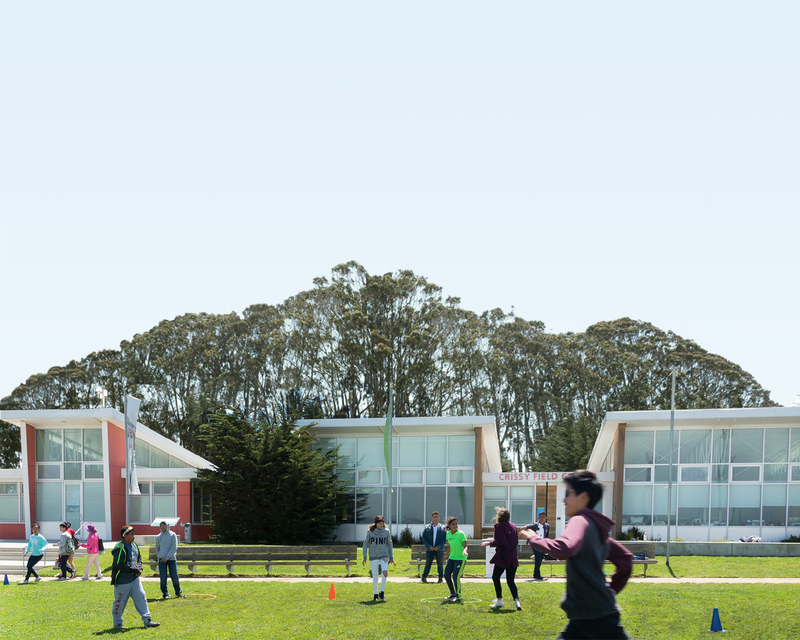 That first class was the only one to study and train at Building 640 on Crissy Field. With paranoia rampant on the West Coast, the school was relocated deep to the interior of the country—to a former homeless men’s camp in Minnesota. The language school at Camp Savage—and later Fort Snelling—would eventually graduate more than 6,000 linguist soldiers, through the end of the Allied occupation of Japan in 1952. Unlike their Nisei counterparts who famously served in the 442nd Infantry Regiment (an almost entirely Japanese American regiment that became the most decorated unit of its kind in U.S. military history), these specially trained men served alone, in pairs, or in small groups—attached to the major combat units in the Pacific. They translated enemy documents, intercepted radio transmissions, conducted psychological warfare, and interrogated Japanese POWs with such compassion and expertise that enemy combatants often were taken aback at their humanity. At the same time, they also had to allay their comrades’ unjustly lingering fears and doubts. Commanding officers openly questioned the presence of these Japanese Americans. In fact, many of these MIS Nisei had bodyguards assigned to them—as protection against their fellow troops. And what a job they did—on the battlefield and in the transitional administration of post-war Japan. But only recently have the contributions of these Japanese Americans been recognized by the government that once locked up their families. Given the classified nature of the program, the very existence of the MIS school was not acknowledged until the 1970s. In 2010, the Nisei soldiers of the MIS, along with the 100th Battalion and the 442nd, were awarded the Congressional Gold Medal—the nation’s highest honor. Achieved in secret and under a cloud of undue suspicion, the accomplishments of these brave Nisei are now memorialized along Crissy Field, where the story began. Building 640 has been rebuilt—with the concrete floor, windows, and ceiling elements from the original structure—and is now home to the Military Intelligence Service Historic Learning Center. “It’s the only historic remains of what had happened 75 years ago, and we wanted to make sure we could tell that story in the actual spot where they served,” explains Tonai of the NJAHS, the organization that spearheaded the effort to save the building and preserve the MIS soldiers’ legacy. Tom Sakamoto, the last surviving member of the first MIS class, passed away just weeks before the opening of the reconstructed Learning Center. However, the powerful lessons of his story—the story of so many Japanese American soldiers in WWII—live on. The MIS Nisei were fine soldiers of the U.S. Army, serving their country when it needed them the most, with duty, honor, and unshakeable patriotism. That’s why they were there, gathered at an unmarked door to a mislabeled old airplane hangar, in November of 1941. To learn more, visit the MIS Historic Learning Center at Building 640 on Crissy Field, open Saturdays and Sundays from noon to 5 pm ($10 admission; free for veterans, children under 12, and NJAHS members). Tours available by special arrangement, Wednesday through Friday. For details, visit the website. For an in-depth, authoritative history, read First Class: Nisei Linguists in World War II, by David Swift, Jr., the son of an original MIS student.